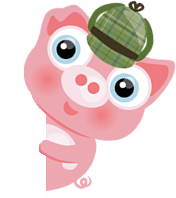 AgentPiggy empowers parents to invest in their children’s future and educate them in financial responsibility. Your kids will learn how to save for a goal or dream, like a bike for christmas or a fun trip. They will learn to earn money through the completion of fun challenges, and also to manage their own allowance. Your kids will learn how to share part of their income with a specific foundation of your choosing, and to spend it wisely on our Piggy Market.